Security is a key concern in cloud today. Security solutions are often sold on the basis of fear—how to stop malicious hackers. And there is value in this, for the threats are often real. But in today’s competitive world, one must also focus on how technology allows growth and innovation while also meeting security requirements. 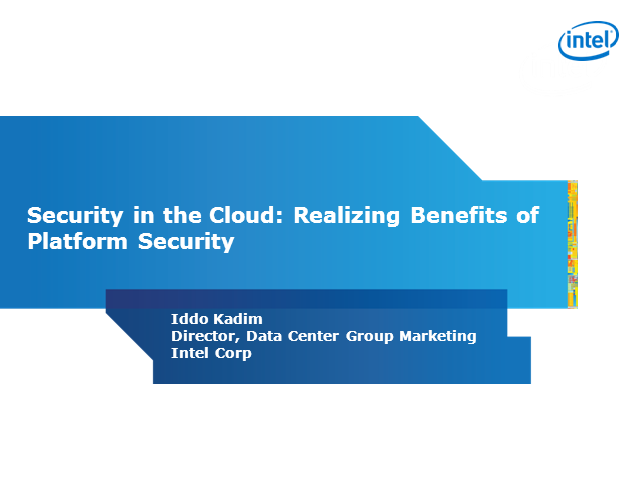 Attendees will learn how Intel is enhancing platforms with new security capabilities and enabling a broad ecosystem of solutions that allow companies to embrace virtualization and cloud without compromising security, thus gaining more efficiency, control and functional compliance.